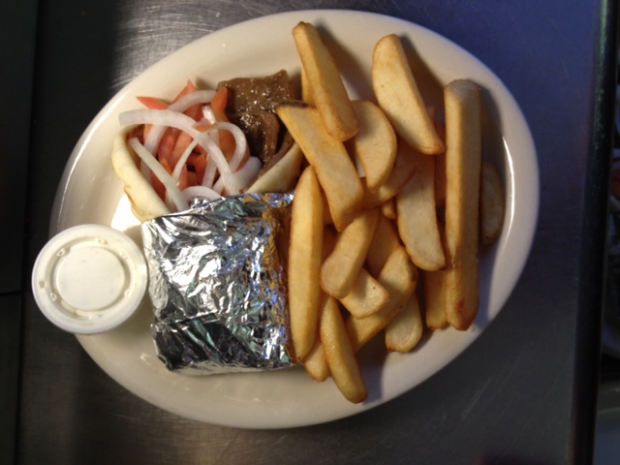 Impress us with your Greek by pronouncing it YEE-ros! Juicy slices of seasoned, greek-flavored beef and lamb topped with fresh onions and tomatoes all wrapped in a 7 inch, lightly toasted pita bread. Served with our delicious steak fries or substitute baked potato.